New Central Agency - 80' Cheoy Lee, KNOT HOURS! KNOT HOURS, an 80' 2008 Cheoy Lee, represents the only Bravo series ever built with three spacious staterooms to include a full beam King master with his and her bath and two VIP Queen guest staterooms each with private baths, spanning the full beam of the yacht. Her contemporary interior is tastefully done in neutral tones accented with stone and granite throughout. 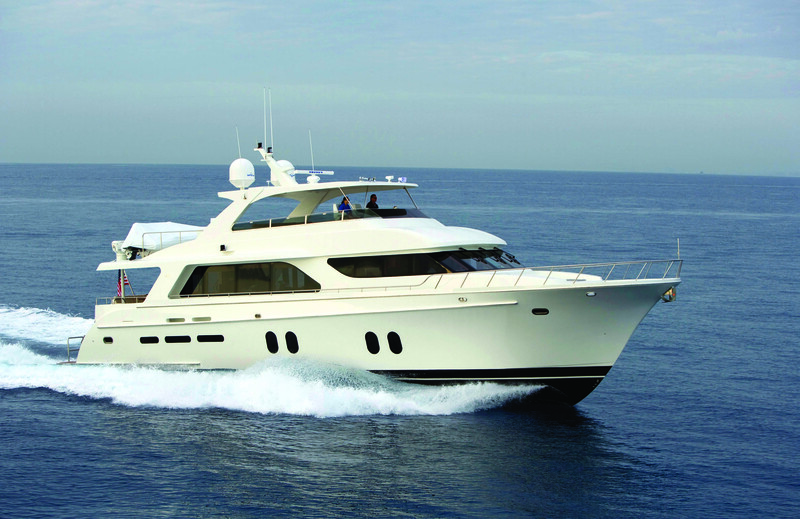 Powered by reliable Caterpillar 3412's, she cruises comfortably at 18 knots. Additional amenities include full walk-around decks, large open aft deck and flybridge with built-in hardtop, wet bar, BBQ grill and spacious seating. The 13' re-tubed Nautica tender are located on the boat deck. Maintained in great condition with new upgrades to include; Garmin GPS, multi-function depth/speed, FLIR system, LG TV and new bottom job & servicing at American Shipyard Sept. 2017!